For this year’s Hour of Code, your students can earn personalized Hour of Code certificates! 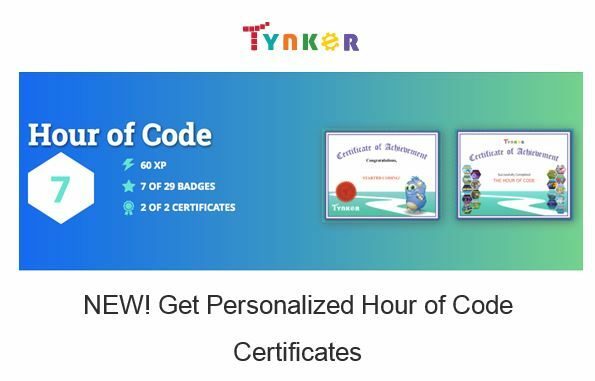 Every coding activity they complete on Tynker earns them another badge that will show up on their certificate. There are 29 badges they can earn, so they’ll be really excited to complete all the activities and fill up their certificate!